Did you know that increasing the air tightness of buildings is one of the top rated energy saving measures? 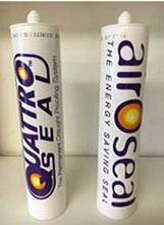 Quattro Seal draught sealing produces a bespoke high tensile gasket for every window and door which lasts for up to 20 years. Applicable to hinged, pivot, sliding sash and louver units and all frame materials (metal, aluminium, wood, glass and UPVC). Recognised by English Heritage as suited to hard to treat and listed buildings. All works undertaken internally with no scaffolding. After treatment all windows and doors work as before. Clients include 150 + local authorities, 53 universities, 700+ schools, National Trust and the Royal Household. This entry was posted in Coatings, Sealants & Paints by Rob. Bookmark the permalink.